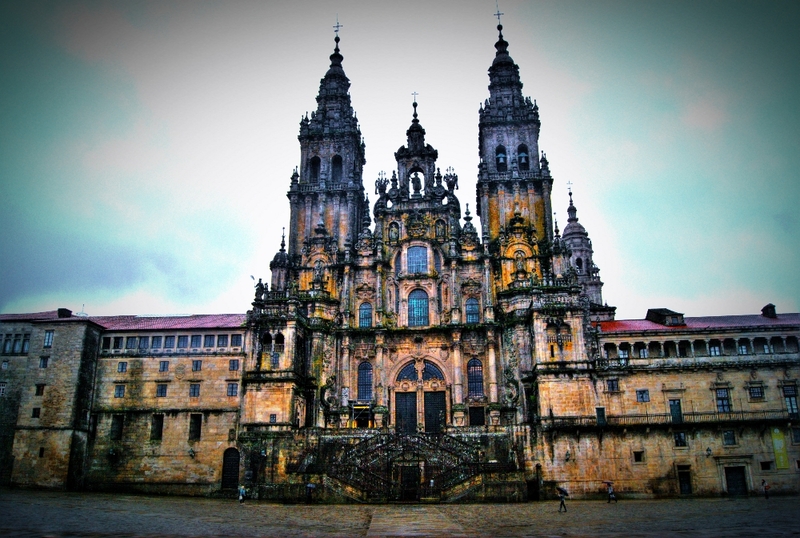 I published this photo of the cathedral in Santiago de Compostela before, but I chose to re-post it as an homage to the 80 victims of one of the worst train crashes in Spanish history a few days ago. And also to the many injured people, and to the people of Galicia. 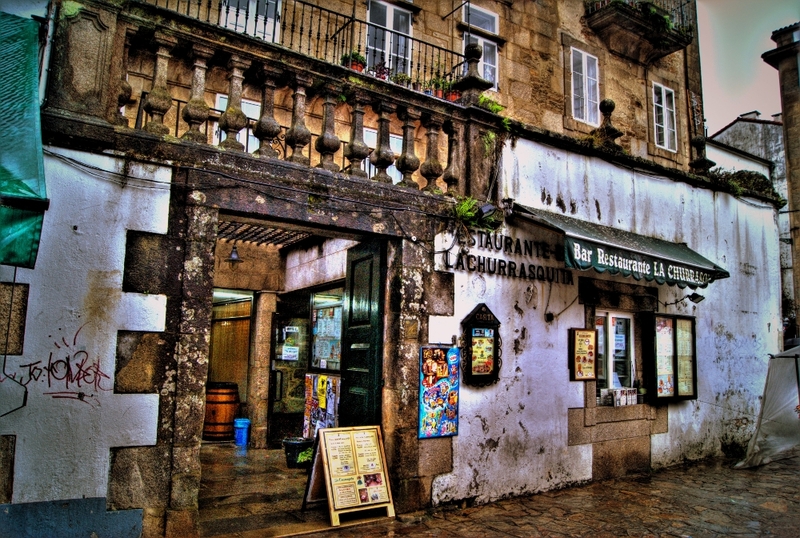 A few more photos and impression of Santiago de Compostela. 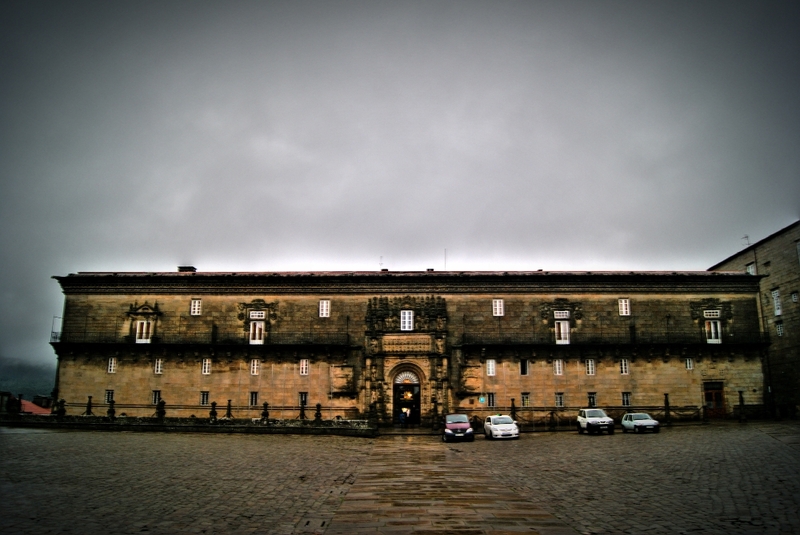 So I went on a kind of pilgrimage to the small galician town of Santiago de Compostela. The name means St James of the field of stars. Nice. Let me tell you what it is all about. 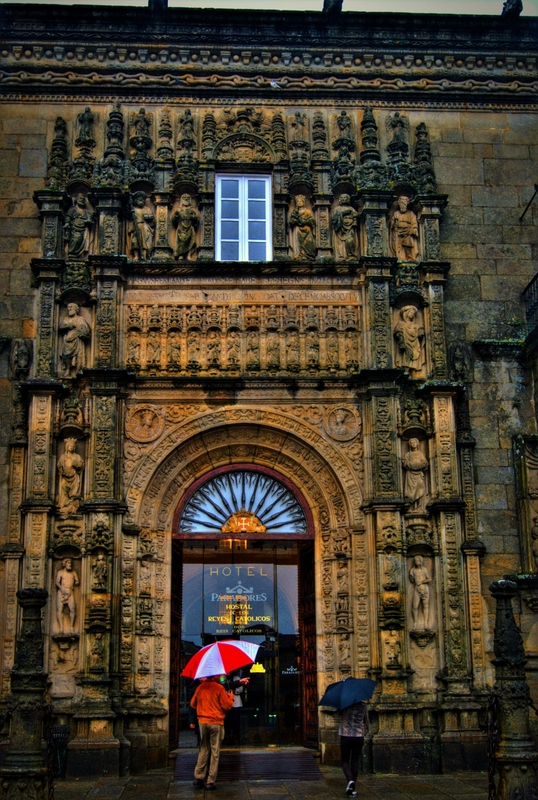 is the pilgrimage route to the Cathedral of Santiago de Compostela in Galicia in northwestern Spain, where tradition has it that the remains of the apostle Saint James are buried. 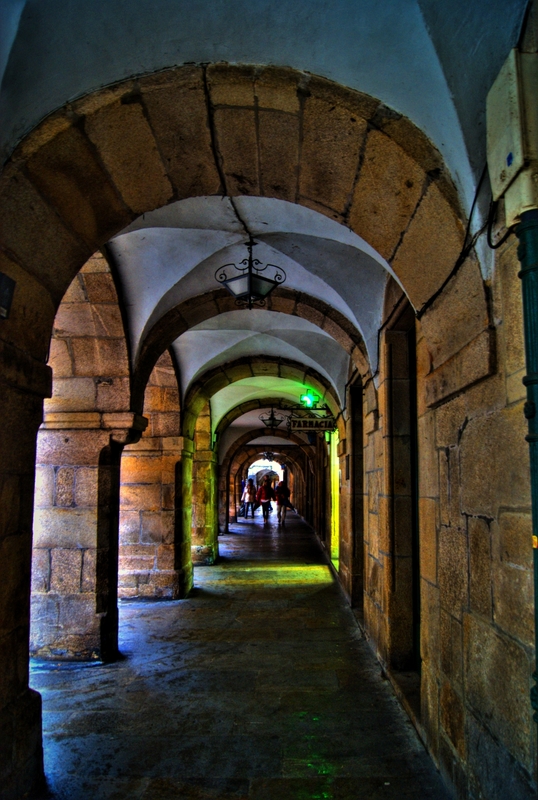 The Way of St. James has existed for over a thousand years. It was one of the most important Christian pilgrimages during medieval times, together with Rome and Jerusalem, and a pilgrimage route on which a plenary indulgence could be earned; other major pilgrimage routes include the Via Francigena to Rome and the pilgrimage to Jerusalem. 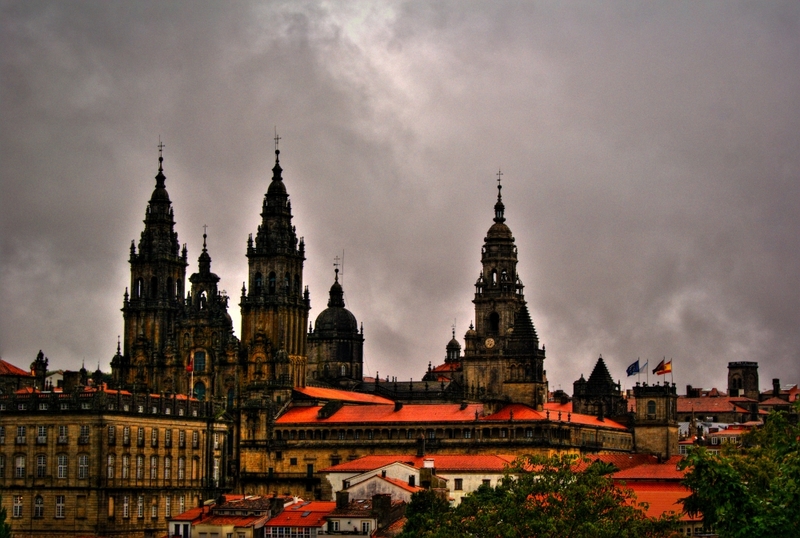 Legend holds that St. James’s remains were carried by boat from Jerusalem to northern Spain where he was buried on the site of what is now the city of Santiago de Compostela. 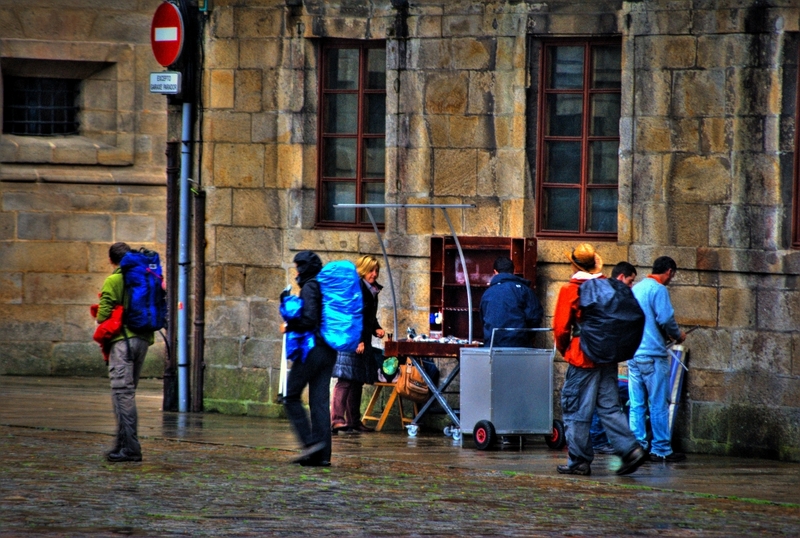 The Way can take one of any number of pilgrimage routes to Santiago de Compostela. 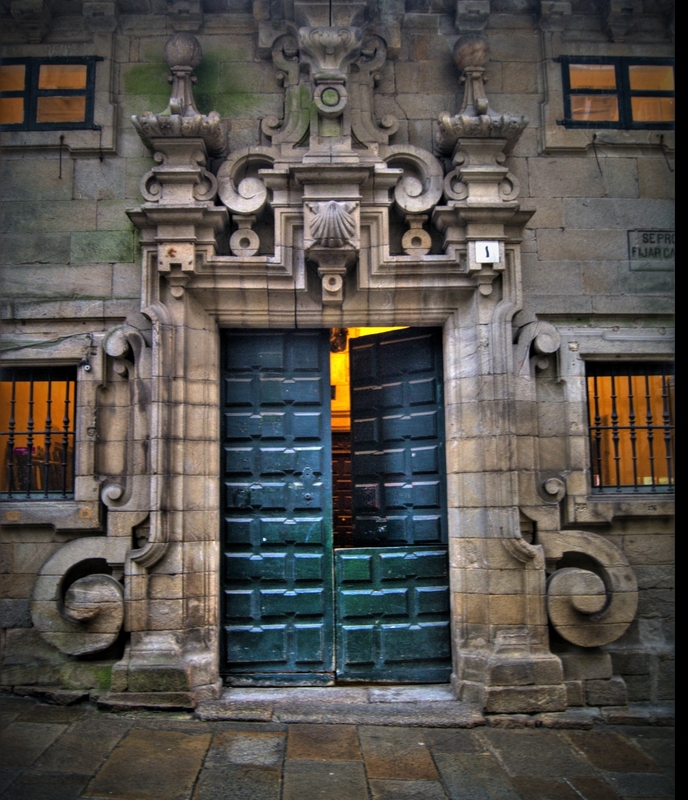 Traditionally, as with most pilgrimages, the Way of Saint James began at one’s home and ended at the pilgrimage site. However a few of the routes are considered main ones. 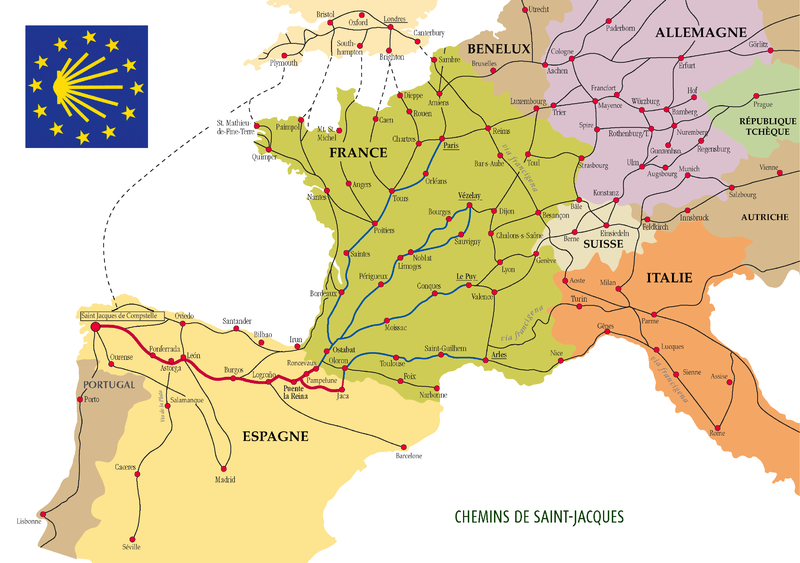 During the Middle Ages, the route was highly travelled. However, the Black Death, the Protestant Reformation and political unrest in 16th-century Europe led to its decline. 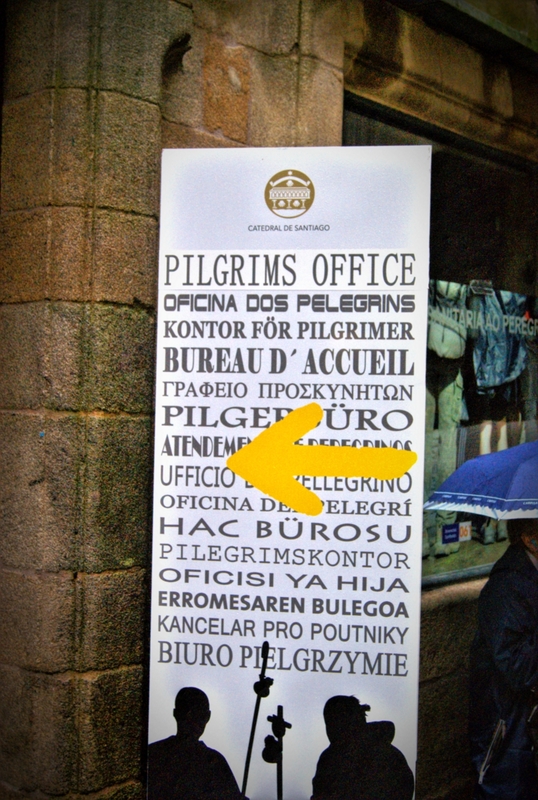 By the 1980s, only a few pilgrims per year arrived in Santiago. Later, the route has attracted a growing number of modern-day pilgrims from around the globe. 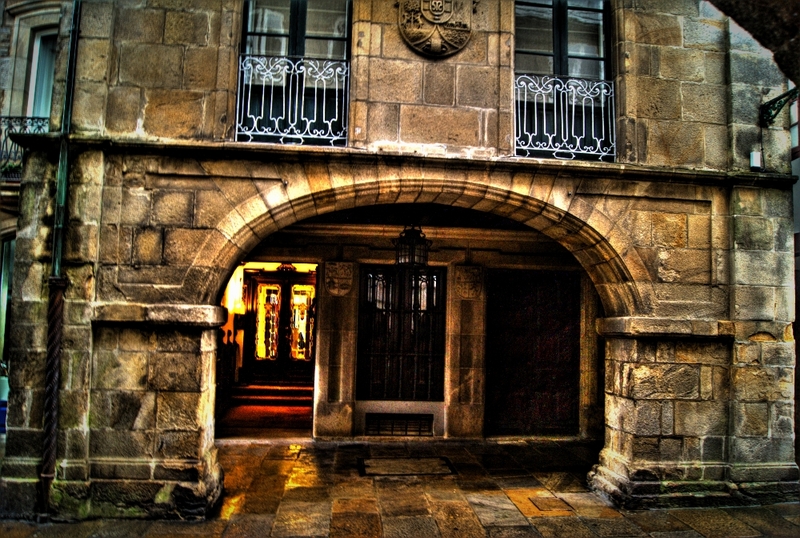 The route was declared the first European Cultural Route by the Council of Europe in October 1987; it was also named one of UNESCO’s World Heritage Sites. From, for example, Paris, it should not take you more than 2 months…I went by plane, so it doesn’t count! The weather last Tuesday was absolutely miserable, so I saw very few pilgrims around. 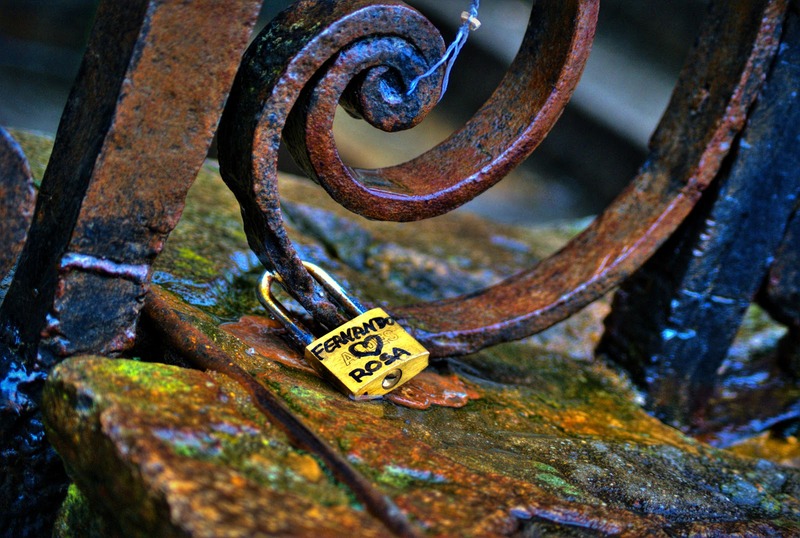 There is of course much much more to say about El Camino, please google it, you’ll find thousand of pages. A very grey and rainy Skywatch Friday! At the cathedral in Santiago de Compostela, Saint James of the field of stars. 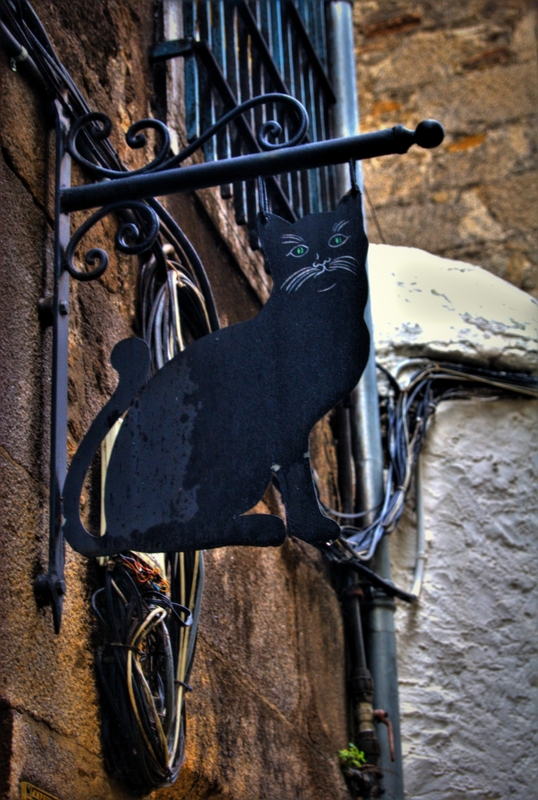 I went to Santiago de Compostela yesterday, at the other end of Spain, 1100km/770 miles away, as a pilgrimage to my youth. I will come back to the long history of the place, let’s just say for today that it is the place where Saint James is supposed to be buried. And many many people go there on pilgrimage, ideally on foot, from far away. They call it the Way, El Camino. As for my trip… I am always complaining about the lack of rain in Barcelona… During the 12 hours I spent in Santiago yesterday, the first 2 hours were heavy drizzle, and the last ten torrential downpour. My plane back to BCN was delayed due to the flooded runway… Anyway, I managed a miserly 200 photos, and my camera still works!